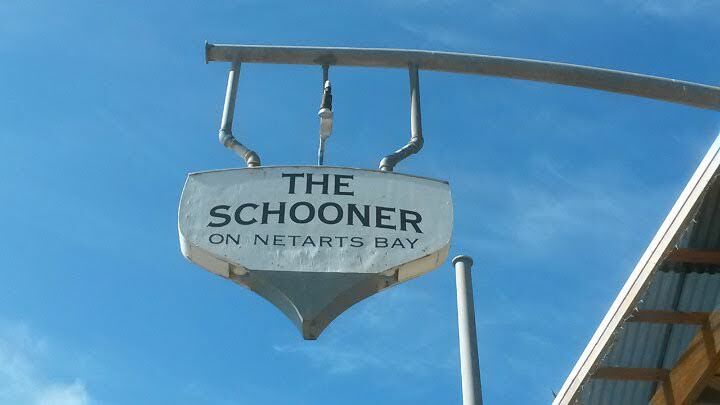 The Schooner is located on Netarts Basin Boat Road (right along the bay) in Netarts, Oregon. This was my first trip to Netarts and frankly, I had no clue this town existed. When you get to towns near or at the Oregon Coast, seafood is the thing to get. 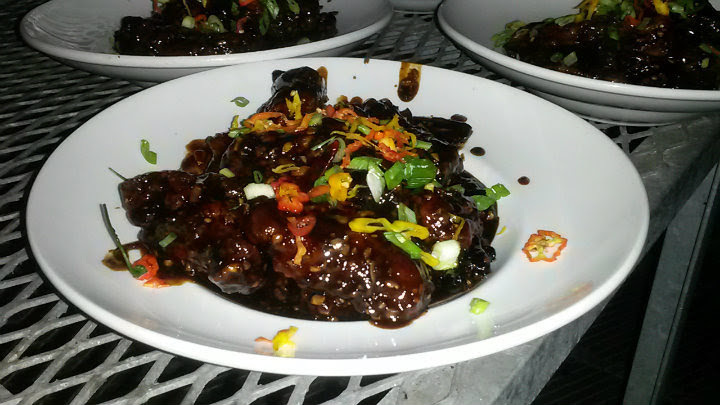 On Friday night, a hot wing contest was held to see who could eat 10 ultra-hot wings the quickest. This one has been around at least 2-3 years. 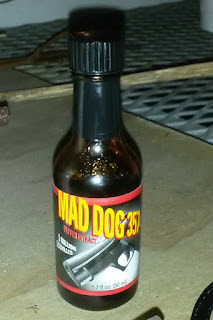 The wings were coated in a sauce featuring Mad Dog 357 extract (the 5 million scoville unit variety) and topped with more chiles. 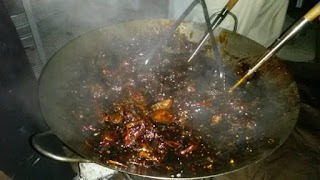 Frankly, it was a tasty sauce considering all the extract it had; in fact, my friend and I requested more of the wings the next day to eat for fun. 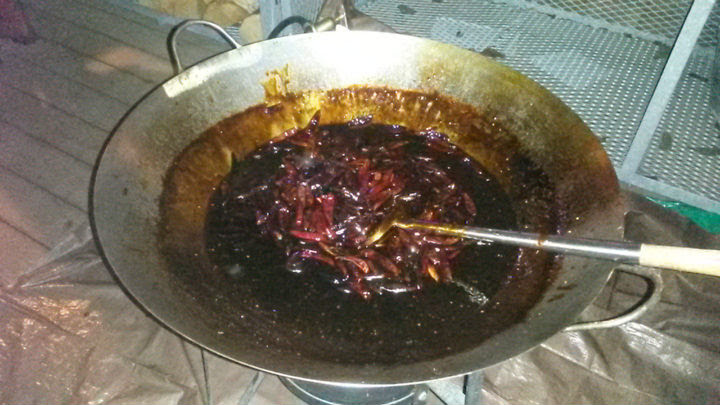 The sauce was an awesome-yet-evil black color -- and it was not burnt in any way. Next year, I hope the wings are more room temperature at contest time. I saw that people in the contest had a tough time holding onto the wings. They thought we were nuts, but they made them! Saturday featured the 10-minute oyster shuck-and-swallow team event (one person shucks oysters and the other eats). Preliminary qualifiers are held midday, with the finals at around 5 PM. 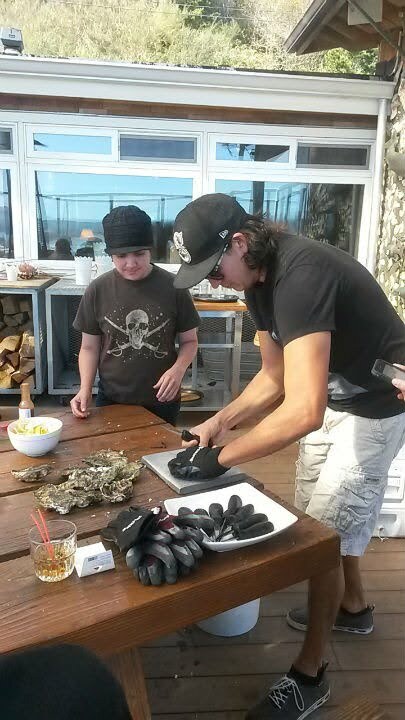 Having a professional shucker is vital to winning, and it's no surprise that professional shuckers from the neighboring town win nearly every year (this year was one of the exceptions). 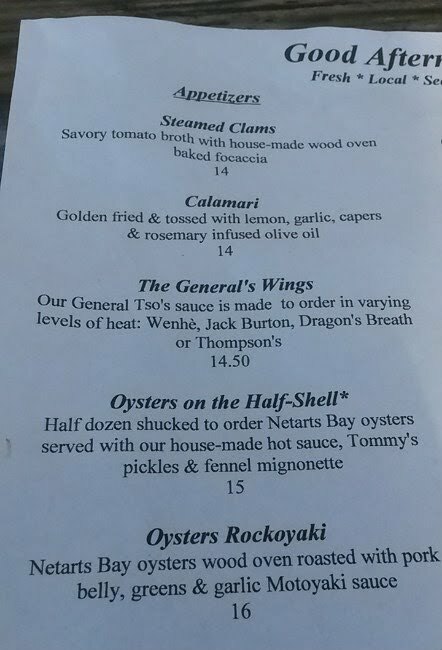 Those oysters are tough to properly shuck open otherwise. 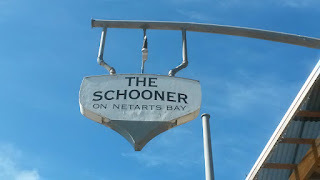 This is the event that has been around the longest at The Schooner (about 6 years now). 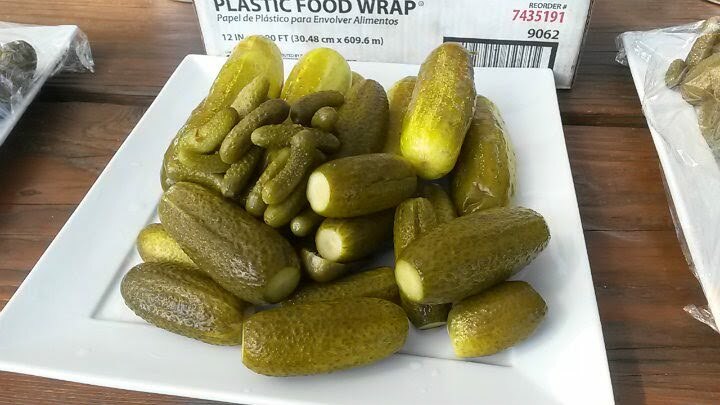 Sunday was a 6-pound pickle eating contest. First year this event has taken place. Four different types of homemade pickles, ranging from the sweet baby pickles to the giant dill variety. All were delicious, but perhaps a smaller poundage should be used for future contests to entice more people to join. Even 3-4 pounds would be a huge obstacle for the average person. And no, not even the panda can do this. 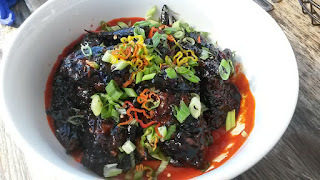 I love pickles, but would rather savor them with a great sandwich. 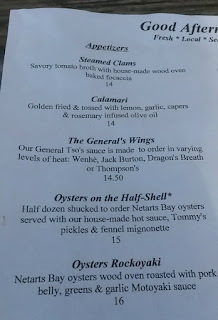 In Netarts, it's all about the oysters. 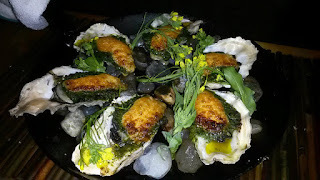 I tried the Oysters Rockoyaki ($16), an Asian take on Oysters Rockefeller. It comes on a hot cast iron pan with rocks inside. Amazing flavor, and the oysters just slide right down. 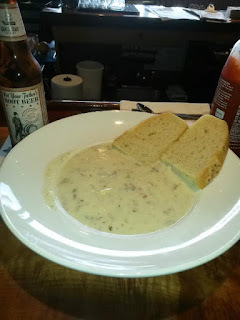 The bowl of clam chowder ($7.50) is a must-try, and perhaps one of the best I've had. Bowls include a side of bread. Gotta dump oyster crackers in the chowder as well. 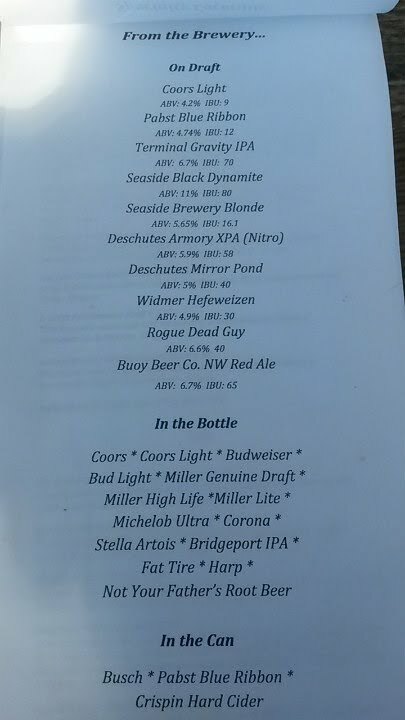 The Schooner has about 10 taps for beer, plus bottles. 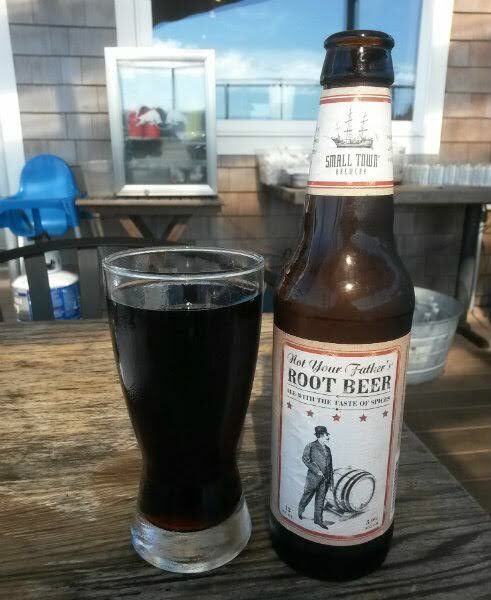 Given my absolute love for Not Your Father's Root Beer, I had to enjoy a bottle of it while looking outside at the water. If beer isn't your thing, there's also select wines and cocktails available. As an added bonus, the people here are very friendly. 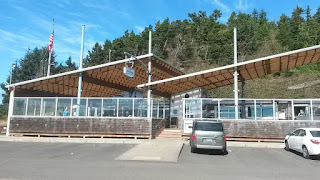 Initially, I was taken aback by the small-town feel of it all; customers came in and instantly recognized/chatted with employees or other customers. 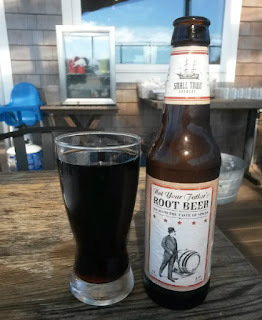 Maybe I'd otherwise see 1-2 regulars chat with the bartender in other cities, but I'm used to seeing the majority of people keep to themselves. It was cool to make new friends, even if they are a couple hours from me and the chances of seeing them more than once a year are slim.